Step into the splendor of Pak Loh Chiu Chow Restaurant, Starhill Gallery which is the “Golden Sister” of the renowned Hong Kong same restaurant. 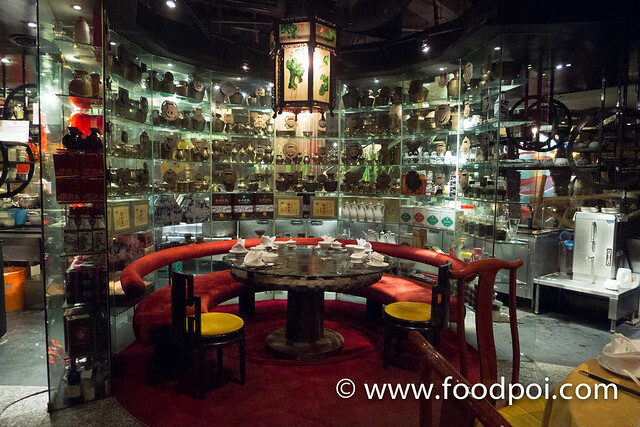 The striking red, gold and green colors are similar to the restaurant in Hong Kong. 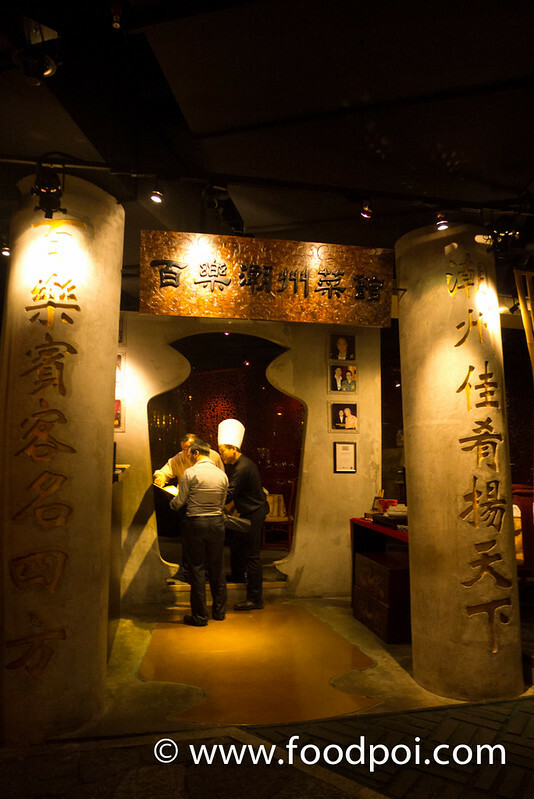 Stepping through the giant Chiu Chow style sauce pot, diners are welcomed by a cozy atmosphere amidst furniture especially brought in from China. 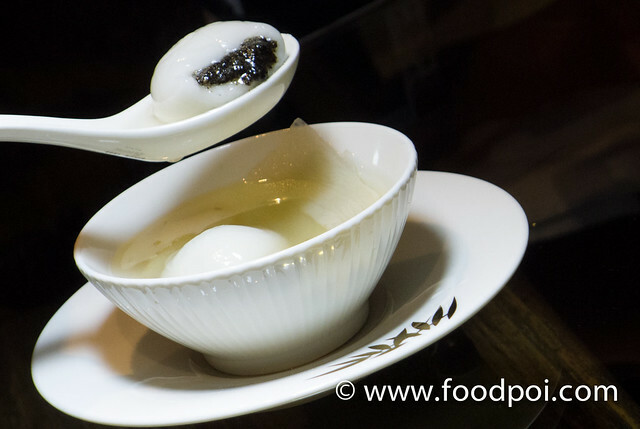 To dine here, I would recommend you to lay back and sip on their famous Ti Kuan Yin tea from small cups between courses to enjoy the meal better. 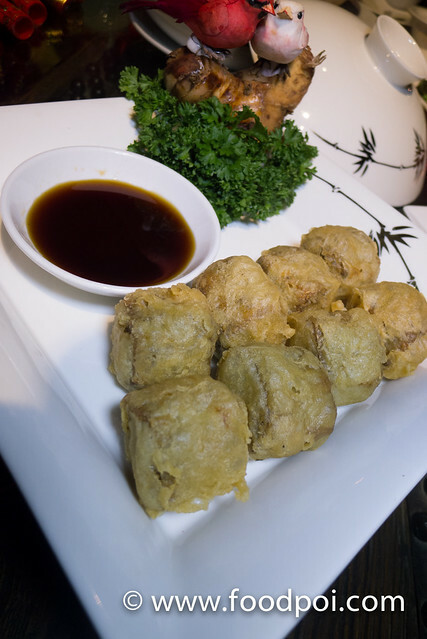 Favorites include the Chiu Chow signature of cold flower crab, pan fried oyster omelette, braised goose fillet and wok-roasted pork. 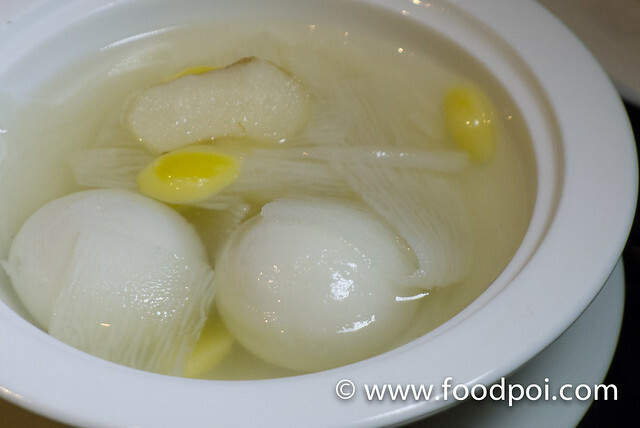 Pak Loh Chiu Chow is helmed by the acclaimed Chef Alex Au, who says “We have imported more ingredients and fresh produce now as the latest menu offers bigger variety of CHiu Chow dishes, for example goose, bombay duck fish and much more”. 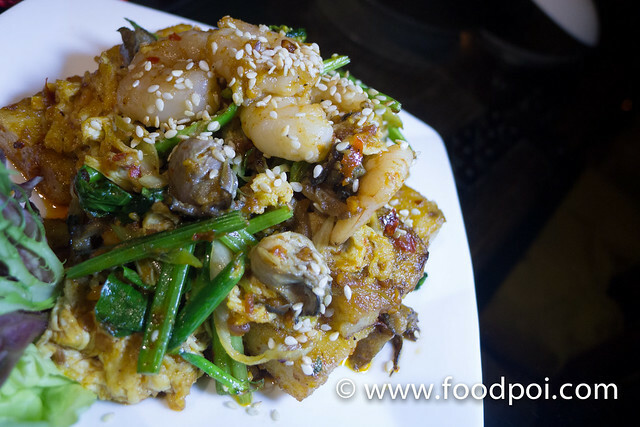 Teochew cuisine is particularly well known for its seafood dishes and is often regarded as being a healthier alternative among other Chinese cuisine. 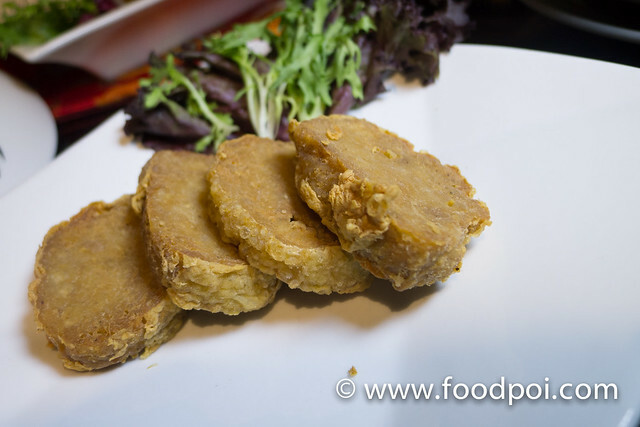 Distinctive preparation and cooking methods are used to preserve the freshness and quality of the ingredient. 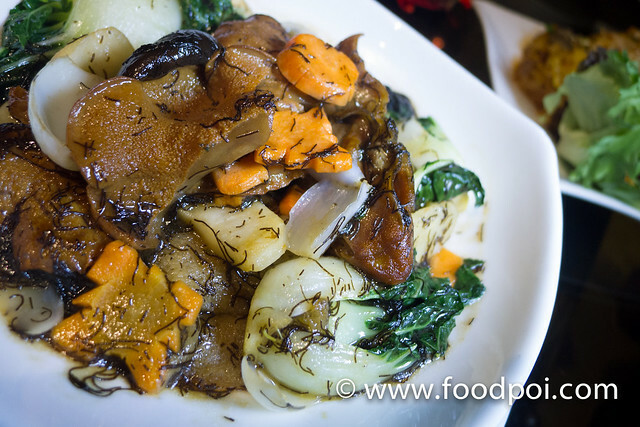 Signature Teochew dishes are often prepared over a slow fire, stewed, steamed, stir-fried or pickled to perfection. 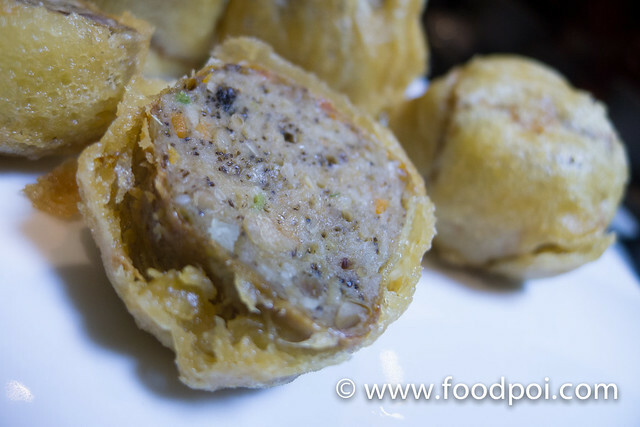 This brings out the best in every Teochew dish without heavy flavourings. It may look simple but every bite brings back memory from olden days where this normally greet all the tables as a starter. 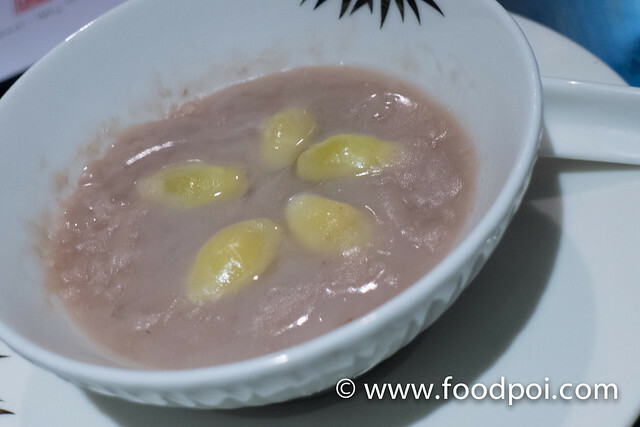 This is another version of starter which having a more distinct taste that has water chestnut and sea moss. Sharks fin is a long time tradition till recent that is a MUST to have on a banquet table. 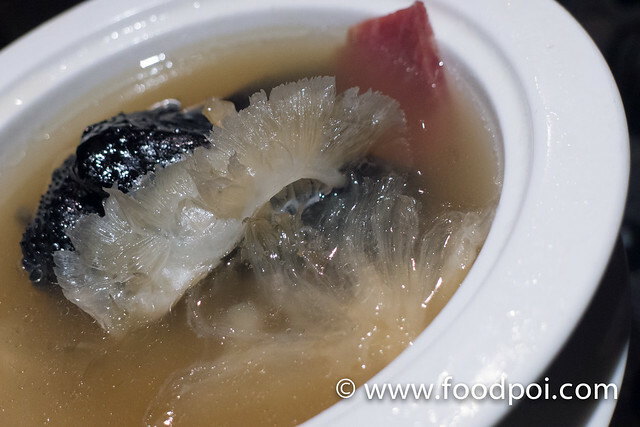 Teochew people are famous for their shark fin recipe. 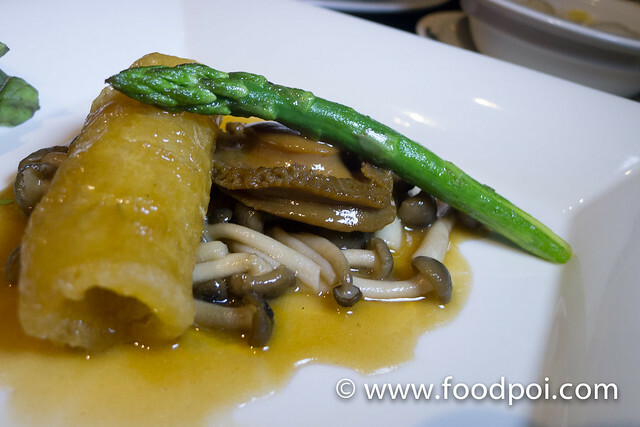 In this restaurant, chef Alex brew a top notch version of it which using black spring chicken in superior soup base prepare with premium yuna ham. Instead of being starchy, this version is clear and diluted. No need to add mustard and vinegar and taste soooo good! 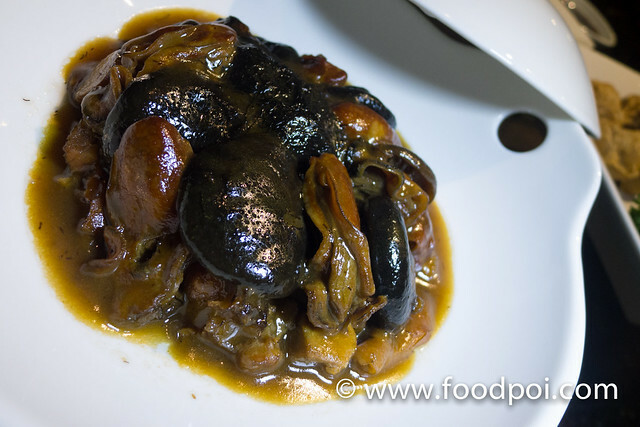 Abalone all the time famous for pairing with premium ingredient sauce based are braise together till it is generating a perfect harmonized dish. No matter which items you eat first, the taste are jive together. This pot of rice are famous among the Hong Kie. 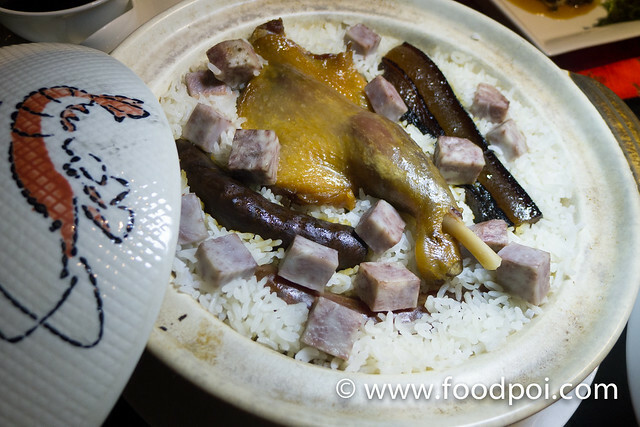 The rice are cook together with premium wax meat, liver sausage, wax duck and then topped with chef’s special soya sauce. 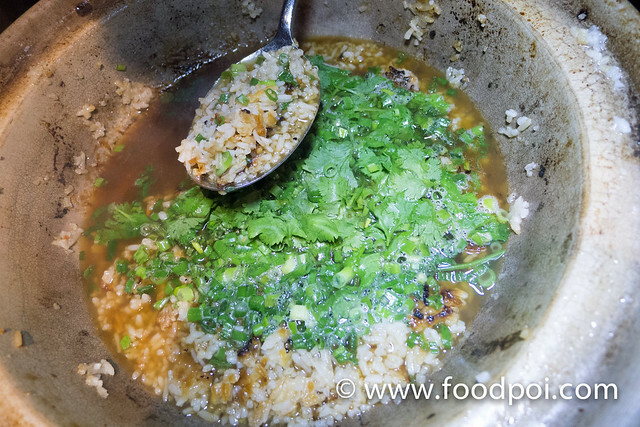 The rice are filled with the wax meat fragrance which circulated within the pot during the cooking time. You can imagine till the rice bits also are not spared. It is scrapped and re cooked with stock soup. Chinese coriander added and we finish the whole thing in a jiffy. 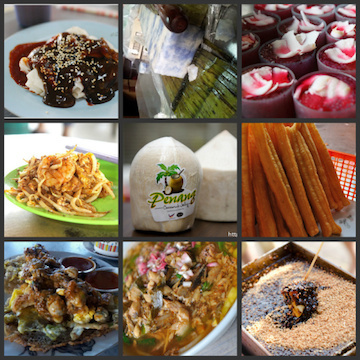 You can follow my food journey at my facebook page.